The Xtra Dog Fleece Walking Harness has been discontinued by Your Dogs Needs. 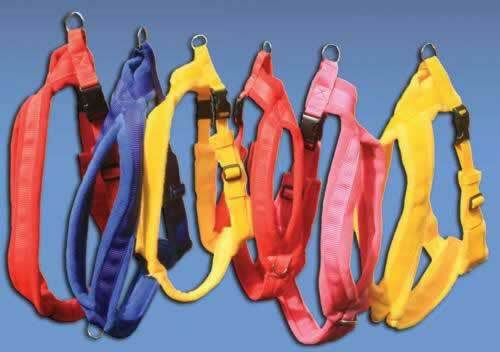 We now stock the Perfect Fit Harness which is a fleece harness that comes in three sections. This means it is a better fit for your dog , and, for those dogs that are nervous about having items going over their heads, can be fitted without the need to pop their head through the harness or to lift their paws. The Xtra Dog fleece harnesses have been specially designed with an “O” ring at the top plus one at the front so that they can be used with a double ended lead. It becomes easy to stop your dog from pulling using Tellington TTouch leading and balancing walking techniques.